Cherry pie (before) inspired by everyone on @thefeedfeed 's pie feed, especially @thecookerywife And @thejudylab. I didn't make the crust, and I didn't make the filling...but my husband will never know. Mmm, just like his mom makes them. Sometimes when there's too much work to do, quick is the only option. In America this is called a pie, in South Africa this is called a tart. 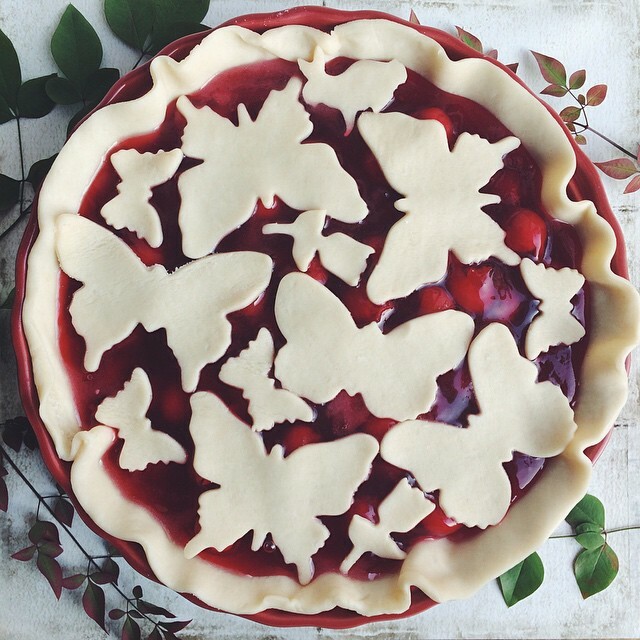 Click the green recipe button for a link to my favorite Cherry Pie recipe.